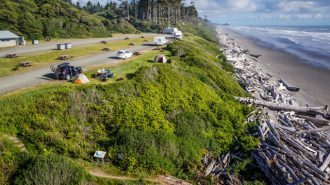 What’s the difference between car camping and RV camping? There are lots of answers to that question, of course. 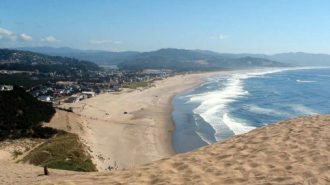 But for many travelers, one of the most important differences is that in a motorhome or travel trailer, you have access to a portable camping kitchen. That means you can save money, stick to your healthy diet, and have round-the-clock access to your favorite fresh snacks, no matter where the road might take you. Even in colossal Class A diesel pushers with full-sized gear and all the bells and whistles, you’re still likely dealing with less counter space than you’re used to working with. In short, even the most proficient home chef may still face a bit of a learning curve when it comes to cooking in a camper. 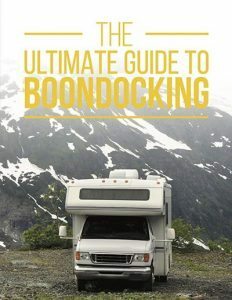 We’ve put together this ultimate guide, filled with all sorts of easy-to-swallow RV kitchen tips, tricks, and info. 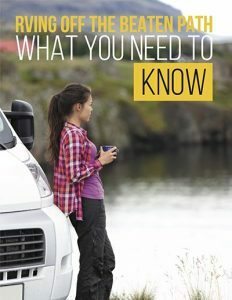 We’ll start by walking you through the basics of how your camping appliances differ from traditional models, and then we’ll move on to some of our favorite space-, time-, and sanity-saving RV kitchen accessories and gear. As with any well-planned meal, we’ve saved the best for last, ending with a few delicious camping recipes that’ll quickly become craveable family favorites. So, ready to get cooking? Let’s dig in! We’ll start by going over some of the most common features you’ll find in your camping kitchen. 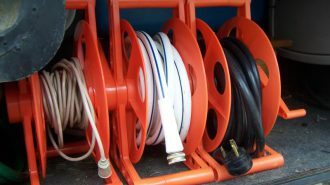 How many appliances your RV kitchen has, as well as their size and functionality, can vary a whole lot depending on what kind of rig you’re traveling in. 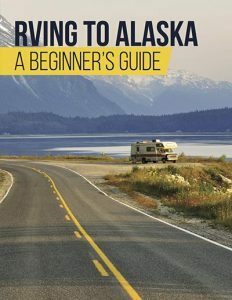 A small travel trailer might have a scaled-down RV kitchenette with a dorm-sized mini fridge and single stove burner, whereas a large motorhome is more likely to pack full-sized (or nearly-full-sized) appliances. 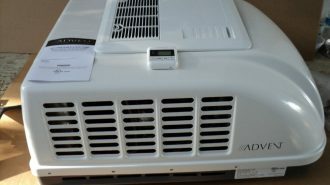 In most cases, your rig will have some sort of refrigeration device, which may or may not include a separate freezer. It’s also very common for RVs to have microwaves, which in many cases double as convection ovens for slightly more complicated meal prep. Aside from the microwave, the next-most-common cooking option you’ll find is a stovetop. 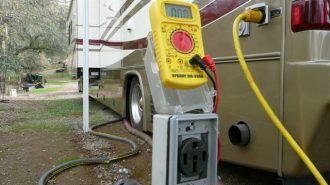 The number of burners depends on the size of the kitchen, and they’re usually electric in newer RV models — though some gas stoves, which are run from the same propane tank as your RV generator, are still available. 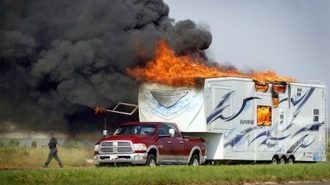 RV ovens are less common in smaller campers and travel trailers, but are sometimes found in mid- to large-sized motorhomes. Even in a big rig, your oven will likely be smaller than the one you have at home, so be sure you purchase the right size baking sheets and other equipment! RV kitchens also usually feature a functional kitchen sink, and the kitchen faucet will likely provide both hot and cold water. 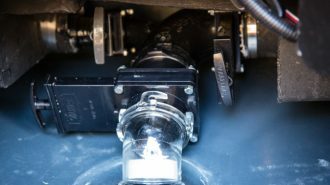 RV faucets also sometimes come with the same hose extension and spray features you might have on your sink at home. 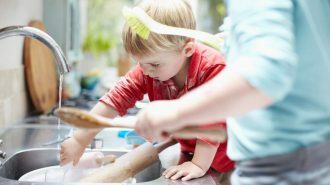 The camper sink may have either one or two sink wells, which can help you separate out dirty dishes and the clean ones you’ve set out to dry. Again, all of these extra features will depend on the total size of your rig, which impacts how much space designers can devote to the camping kitchen. 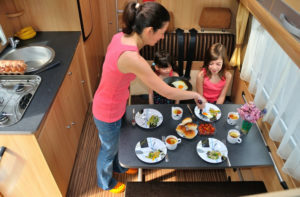 Finally, your RV kitchen space will likely be rounded out with a camping kitchen table or dining area. In many RVs, the dinette set can be folded out into an auxiliary sleeping space, or it may feature extra storage under the cushions. 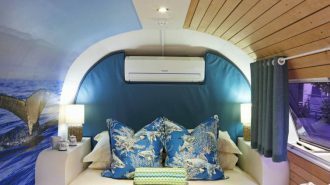 After all, space is at a premium inside even a 40-foot mobile home, so designers get creative about fitting as much value as they can into every single square inch! 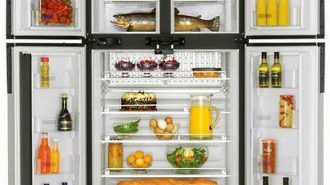 Again, the size and storage capacity of your RV refrigerator will depend on the total size of your rig, and your fridge may or may not have a separate freezer — or any freezer at all. But one thing you can count on, regardless of its size or shape, is the fact that it doesn’t work quite like the one you have in your permanent dwelling. 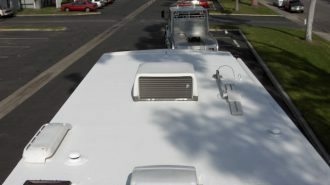 For your convenience, most RV refrigerators have a switch, allowing you to choose their energy source: either the LP gas or electricity if you’re connected to shore power. Because of the cooling chemical process they rely on, RV refrigerators will not work properly if you try to run them when your rig isn’t level. Which means that a good set of leveling blocks might also be one of your best RV kitchen accessories! 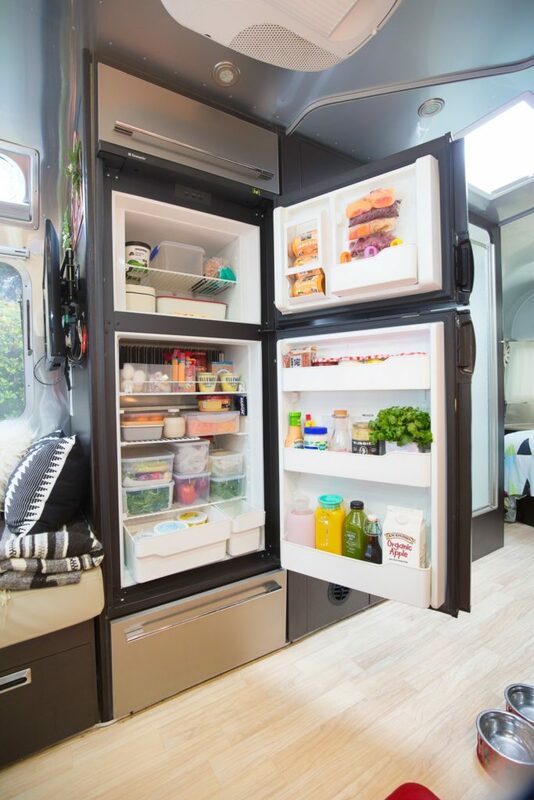 Even the largest camper refrigerators tend to have less space than the gigantic ones we have at home, which means you’ve got to get creative if you want to store a whole week’s worth of fresh food on board. We’ve got some great tips and tricks to help you do just that, which you can find by clicking here. There’s no doubt your RV comes with a whole lot more kitchen gear on board than, say, your SUV. But there’s always room for improvement, right? In all seriousness, having the right RV kitchen accessories can transform mealtime from housework to highlight. Here’s some camping cookware we highly recommend adding to your camping essentials list. If you don’t have a real-deal oven on board, treats like crispy pizza crust are going to be hard to come by. Even the best convection oven usually doesn’t cut it when you’re trying to get a crunch. 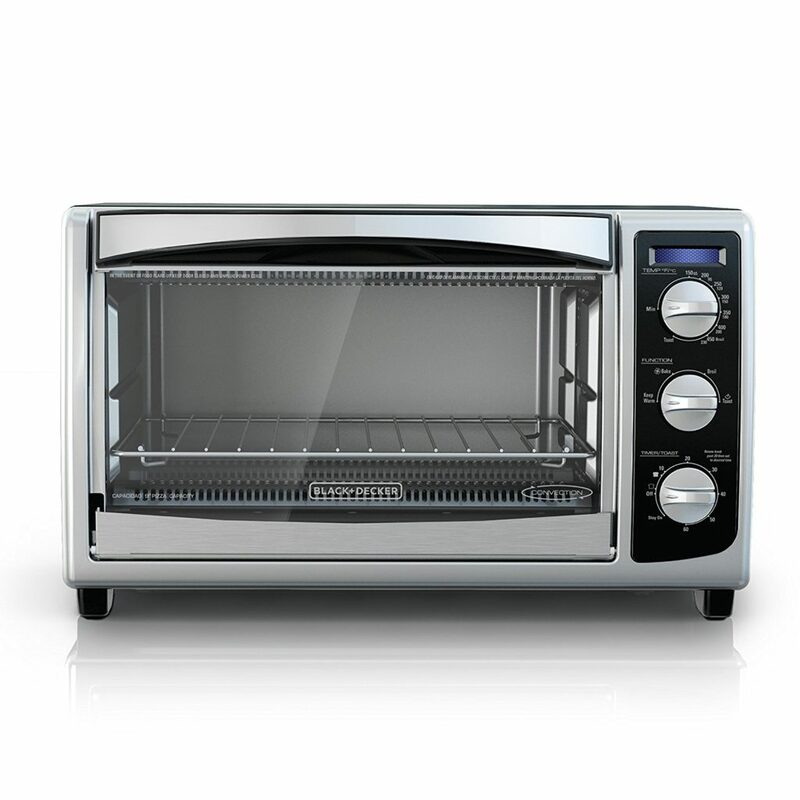 Fortunately, toaster ovens are an affordable alternative that don’t take up that much storage space — and you’d be surprised at how versatile they can be. Aside from creating your perfect slice of morning toast, you can also make crispy quesadillas, perfect personal pizzas… and according to this list of toaster oven recipes, even meals like chicken tenders or lasagne. Seriously! Plus, even high-end, reliable brands like Black and Decker offer toaster ovens for less than $50 — or less than three pizza nights if you rely on restaurant delivery. Listen, it doesn’t matter how well you organize your kitchen cabinets or how careful you are at lunchtime. 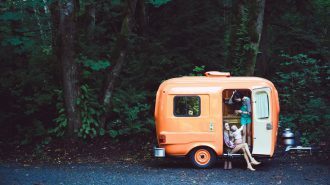 When you’re in a camper, things have a tendency to move around — and if you’re using traditional ceramic or china plates for your RV dinnerware, that means chips, cracks, and even outright shattering. 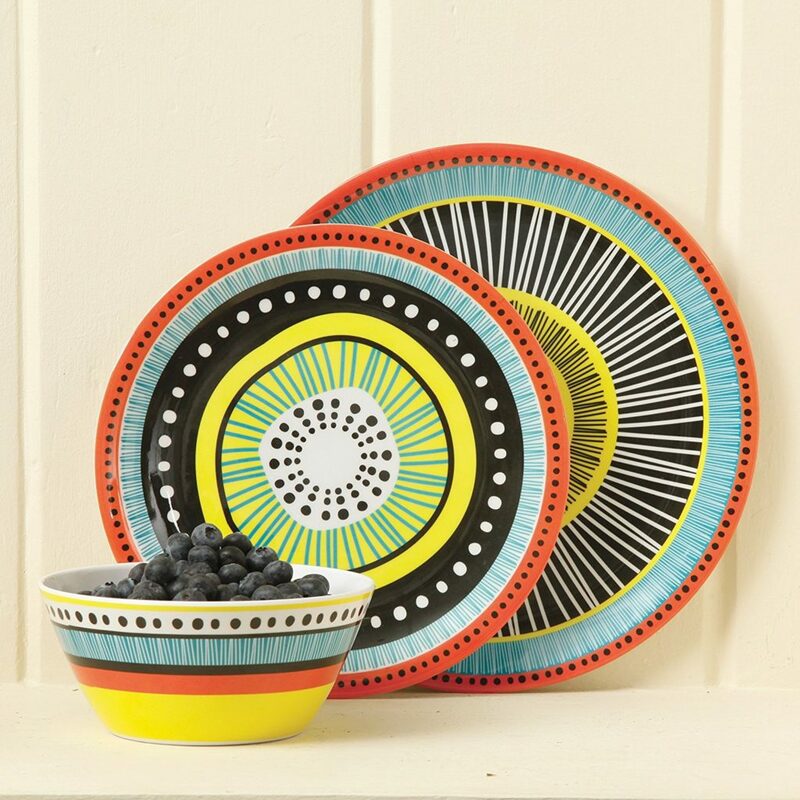 So it’s worthwhile to invest in a set of break-resistant camping dishes, like this 12-piece collection from Gibson Home. It comes with four place settings, each featuring a dinner plate, salad plate, and bowl, and the whole thing will set you back less than $25. The best chefs know you don’t really need all that much equipment to craft an incredible meal. Most of those as-seen-on-TV gizmos are a waste of both money and precious storage space. But you do need a few basics, like a frying pan and a saucepan. Depending on your personal cooking preferences, a large stock pot might also be in order. 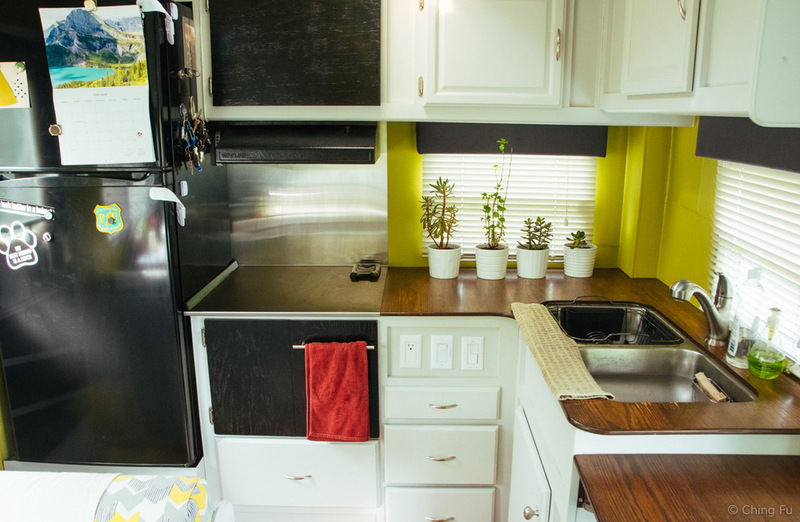 When you’re traveling in an RV, your kitchen storage space may be limited to only a few small cabinets. And some of those will likely be dedicated to storing dry foods like cereals and grains. 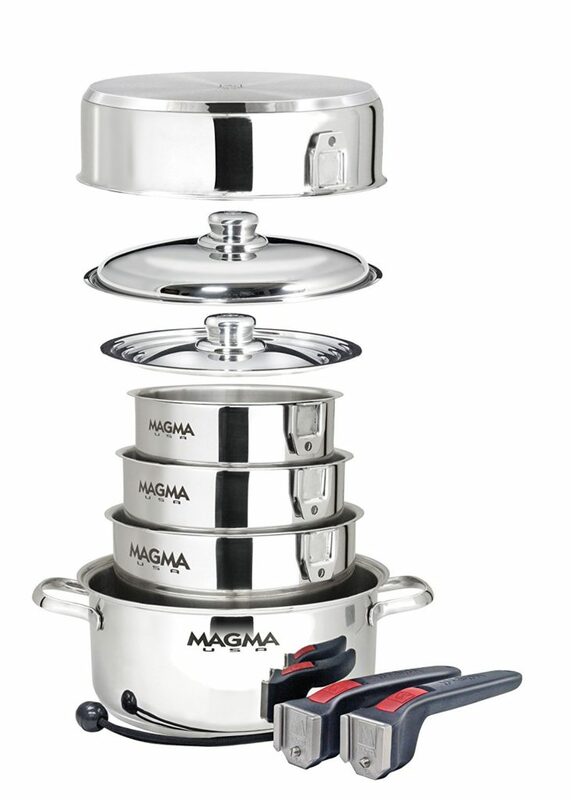 So our best space-saving tip — and one likely to get you all the kitchen gear you need in one fell swoop — is to invest in a set of nesting or stackable pots and pans, like this one from Magma. For less than $200, you’ll get 10 pieces of high-quality, reliable basic cookware. And best of all, they nest neatly one inside the other, so they only take up the space of a single large pot in your cabinet. This set was specifically designed with RVs and boats in mind, so it’s all about space saving! If a brand-new set of pots and pans isn’t in the budget, don’t worry — there’s an affordable alternative that’ll help you organize even the motliest crew of mismatched cookware. 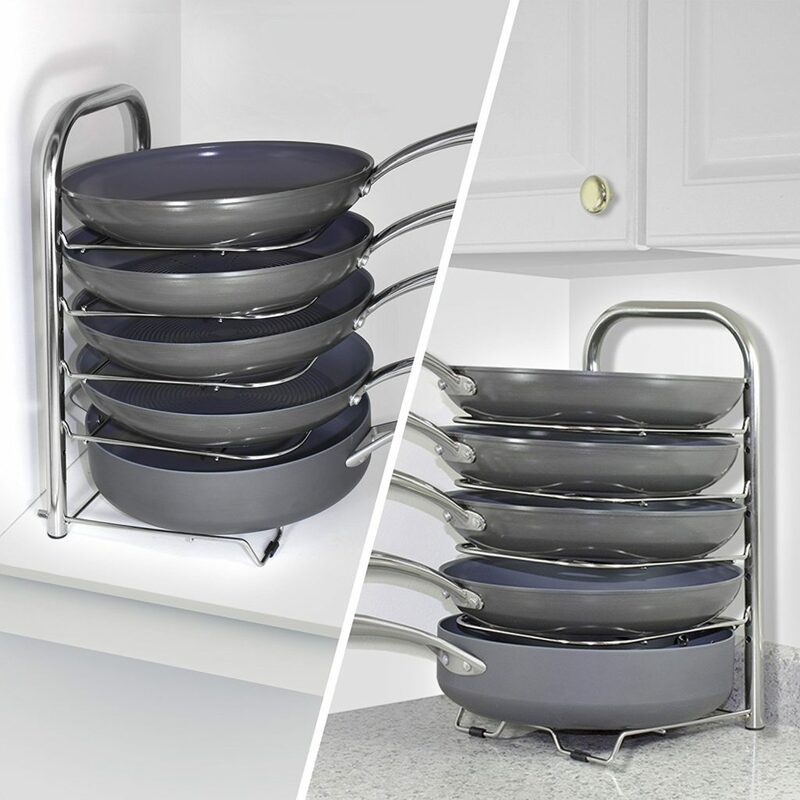 This adjustable cabinet organizer can help you fit unruly pots and pans into a teeny-tiny footprint, not to mention doing away with the frustration of being unable to find the right lid ever again. It’s heavy-duty enough to hold up even heavy cast iron cookware, and best of all, it’ll set you back less than $30. That’s a major win in our book! 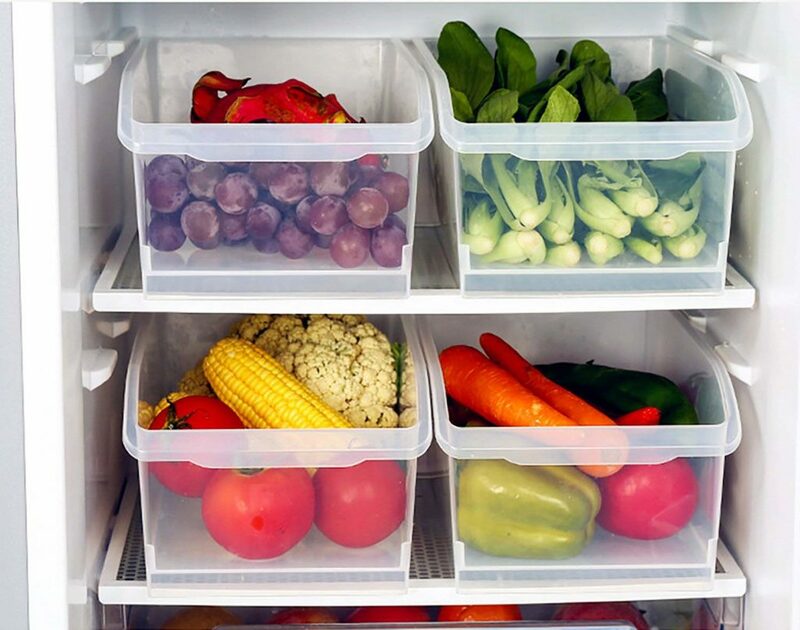 Even with clever cramming techniques, packing a week’s worth of fresh food into an abbreviated RV refrigerator isn’t always the easiest task. And that’s before factoring in picky eaters and finicky family members who have their own favorite foods they want to have readily available and separate from the main fare. Refrigerator bins are an excellent addition to an RV kitchen for two reasons. First of all, they can help you organize your food in a way that makes it possible to fit way more in than you’d originally imagined. 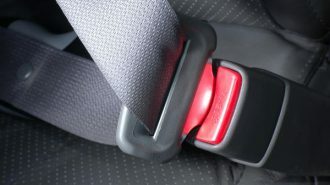 And secondly, they also keep your goodies from rolling around and getting bruised if you travel with refrigerated food while underway. You can get a set of two refrigerator bins at Amazon for less than $13, which makes this a super-affordable RV kitchen hack. Along with making food storage more convenient, you can rest assured these bins are also easy to clean and heavy-duty enough to handle being used day in and day out. One word of caution, however: make sure your RV’s refrigerator dimensions match those of the bins! 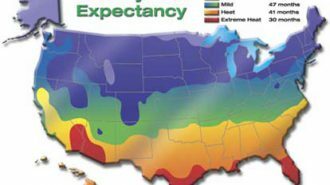 Not every mobile home’s fridge is the same size, and you wouldn’t want to purchase them only to discover they won’t fit. Yes, it’s likely you’ve heard us sing the praises of the almighty Instant Pot before. 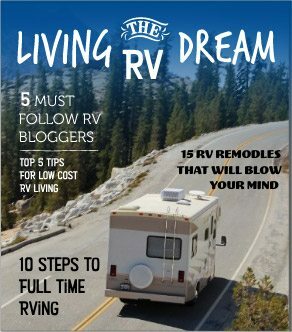 Heck, we even have an entire blog post devoted to why you need one in your camper and the amazing recipes you can make with it. But what can we say? When we find a product we really like and that we know will add value and convenience to our readers’ camping experiences, we feel compelled to share. Many RVers consider their Instant Pot to be an irreplaceable piece of essential camping cooking gear. With a single, low-cost device, you can make perfectly-fluffy rice, freshly-fermented yogurt, and stew up meats whose taste and texture will make your family think they were slow cooked all day. 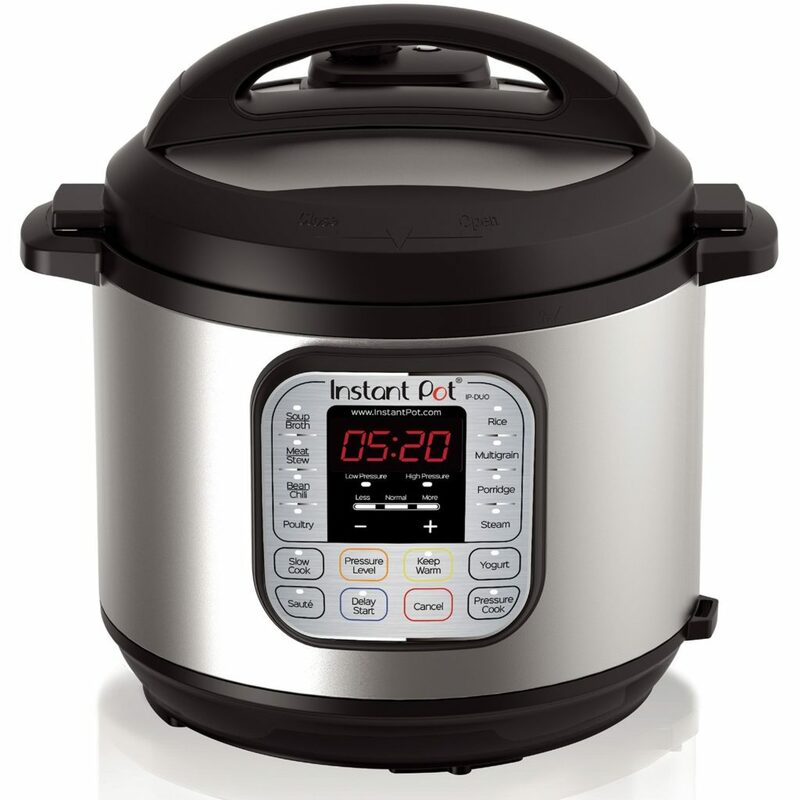 That’s really just the beginning of all the magic uses home chefs have cooked up with their Instant Pots, which include baking cakes, whipping up frittatas, and even making their own jam, hand lotion, and dog food! That’s a pretty insane amount of utility for less than $100 — and for us, it’s a total no-brainer. If you like to spice it up, you may be wondering how to organize all those teeny-tiny tins in your rig. After all, they’ll more than likely roll around in a cabinet… and those big, fancy countertop spice racks are nice, but they take up a lot of your precious cooking space. 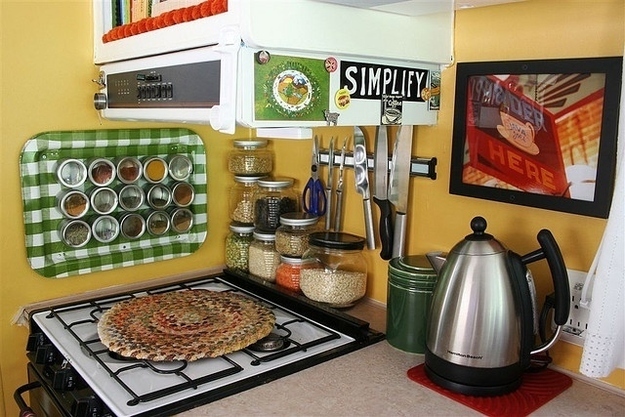 Which is why we absolutely adore the idea of a magnetized RV spice rack you can hang on the wall. It keeps your favorite flavors close at hand without being in the way, and it looks pretty darn adorable to boot. And did we mention it’s super DIY-able? Here’s a guide that’ll get you started in a flash. If you find this method of organization attractive — get it? 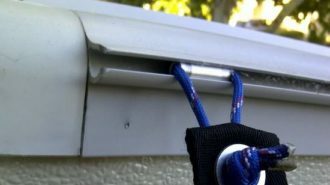 — you can also look into magnetic knife strips, magnetic shelves, and more. No matter how you stock your camping pantry or what you choose for your go-to cooking device, we’ve got ideas for breakfast, lunch, and dinner that are healthy, easy, and tasty enough to please every single member of your camping party. Here are just a few to get you started. Traveling with little more than a microwave, but still want the delicious decadence of a fresh-baked breakfast? The whole thing comes together in a jiffy, taking just a few seconds to mix up and then a minute of nuking. That means can easily crank out a muffin — or two! — for everyone in the family before heading out for a long day of adventuring. 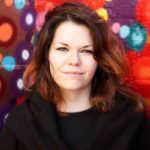 “I used to hate quinoa because it took forever to cook,” admits Lauren of Lauren’s Latest. 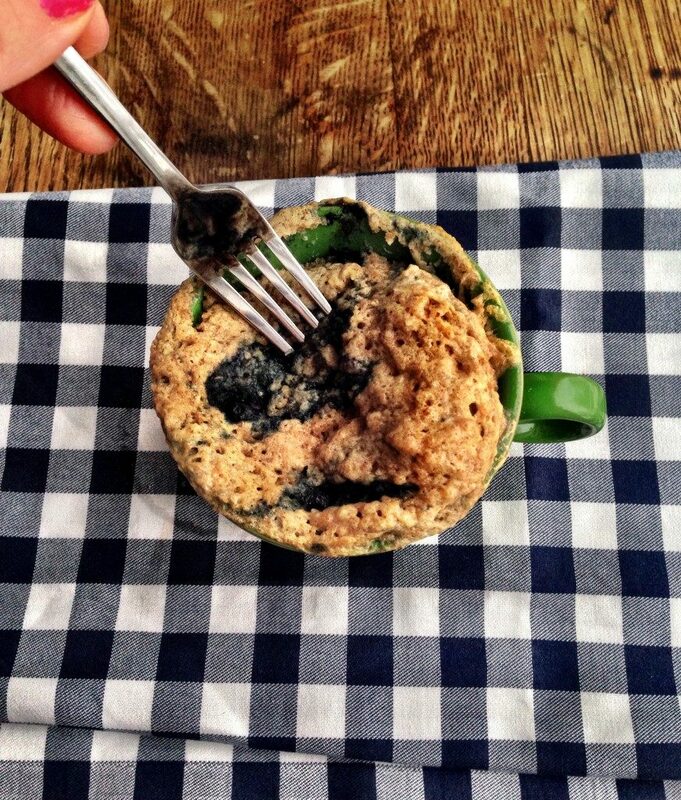 But knowing that this protein-packed grain would be a perfect start to her busy days, she kept experimenting. That’s when she discovered you can actually cook quinoa in the microwave — and it comes together in just 10 minutes! See? Sometimes taking the easy way out really is better. 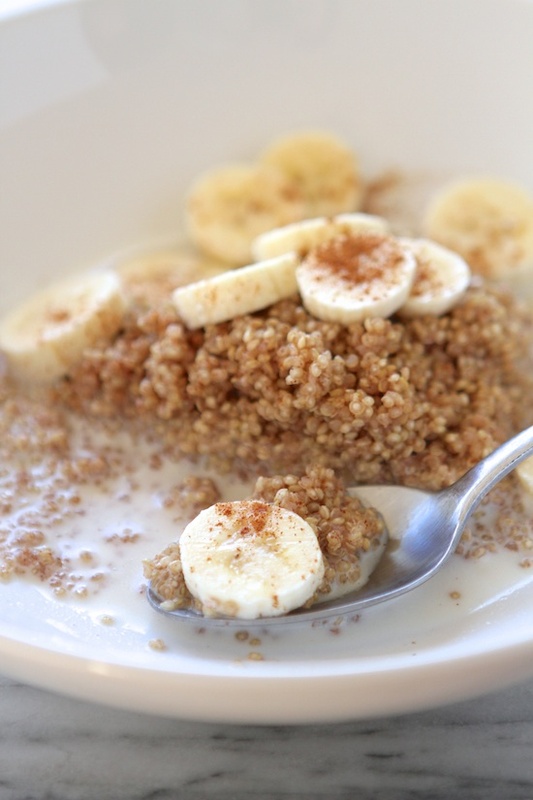 You can dress up your quinoa however you like, but Lauren’s simple combination of maple syrup and cinnamon sounds heavenly. For lunch or dinner, try a savory spin, like this healthy, veggie-filled version from StreetSmart Kitchen. If this heavenly-sounding recipe from Kelly at Life Made Sweeter doesn’t convince you to get an Instant Pot, we’re not sure what will. 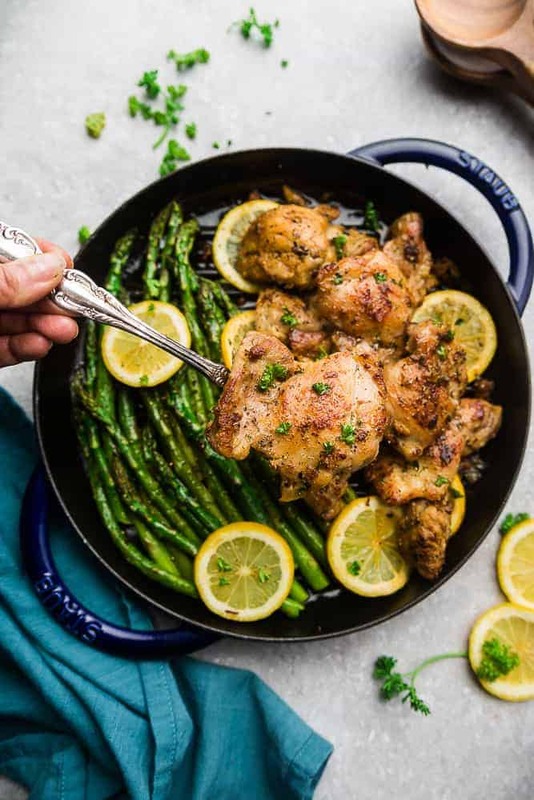 Some boneless chicken thighs, a few herbs and spices, and 30 short minutes of cook time — and you’ve got a simple but scrumptious dinner that can easily be made low-carb, paleo-, and even keto-friendly. That roasted asparagus on the side can be substituted for any of your favorite veggies, or a starchy option like potatoes or rice if you’re not on the low-carb craze. And, psst — if your rig doesn’t have an oven, you can always throw that fresh produce on the grill, or even in the toaster oven! 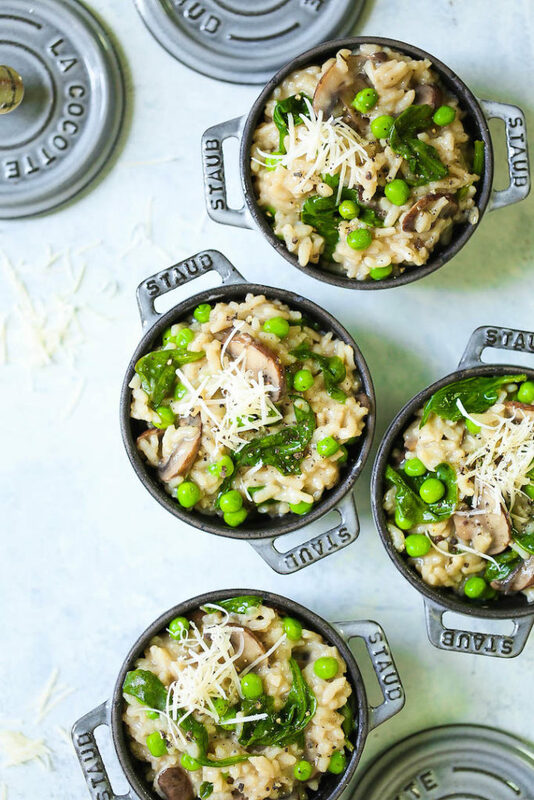 Here’s another hearty meal that comes together in a flash in your Instant Pot, and this one’s perfect for the family vegetarian! Chungah’s recipe at Damn Delicious calls for chicken broth, but you can easily sub in veggie broth or water — and nix the Parmesan if you’re serving a vegan. Crisp, salty chips are a road trip favorite, but the ones that come in a bag aren’t always the healthiest option. 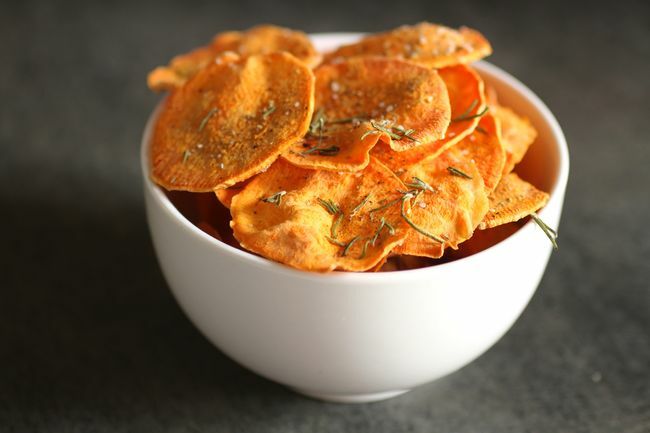 Besides being filled with anonymous oils and preservatives, they’re also not nearly as tasty as freshly-sliced, homemade chips. And yes, homemade chips are totally possible. Easy, even. This recipe from The Bitten Word comes together in the microwave! You can make chips out of pretty much any hardy vegetable you like, from beets to carrots to zucchini. Don’t have a microwave? You can also use a regular or toaster oven. Choose your favorite flavors, slice them thin, add a little bit of olive oil, and get ready for a delicious, guilt-free snack. Portobello Pesto Burgers… in the Toaster Oven! Didn’t we tell you that little device is versatile? 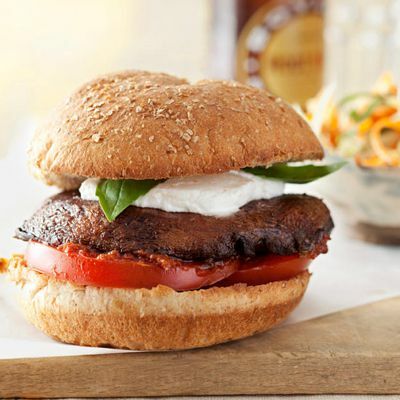 For a healthy, modern spin on a camping favorite, try this portobello burger recipe from Delish. It may be vegetarian and full of fiber, but with a dollop of goat cheese and sun-dried tomato pesto, it’s bound to taste way more indulgent than its nutrition facts let on. And, yes, you can whip up the whole thing with nothing but a toaster oven — though if you’re hankering to get outside and cook over an open fire, don’t worry. we’ve got you covered on that front, too. It Isn’t Camping If You Don’t Grill! Most RVers consider their camping stove or propane camping grill an essential part of their gear list. And we don’t blame them. Eating a delicious meal fresh off the fire is pretty much as good as life gets. Here are a few out-of-the-box grilling recipes to try out the next time you find yourself campfire cooking. Forget Taco Tuesday. 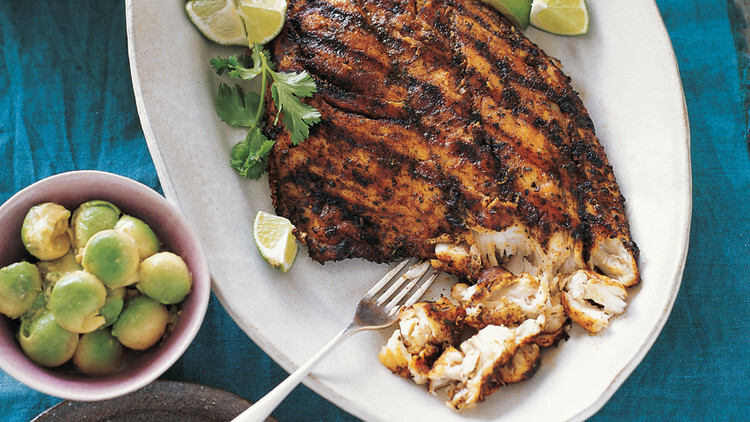 In our book, tacos are a wonderful choice every single day of the week — and as Martha Stewart proves with this recipe, the grill is the perfect place to prepare them. Rubbed with a simple mixture of chili powder and cumin, these tacos are way healthier than the double-friend versions you’ll likely find at your local taqueria… and we’d say even tastier, too. You know, I’ll admit it: I tend to totally dismiss desserts that don’t involve chocolate. Why even bother? 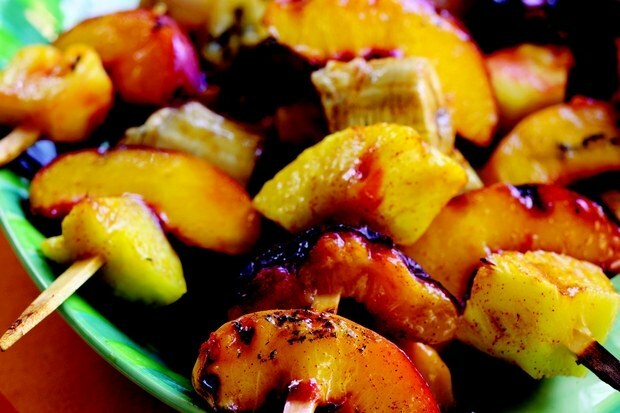 But this grilled fruit skewer recipe from Epicurious may have me changing my tune. Choose whichever of your favorite fruits are firm and in-season, and watch (and taste) in awe as the heat transforms them into something even sweeter and sultrier than they already are. The addition of the spicy glaze, made with maple, cumin, cinnamon, and cayenne, catapults the whole thing to the next level. And hey, it’s fruit, so you can totally eat it for breakfast or a snack as well as at dessert time. Heck, I might find myself noshing on some of these for dinner… so I won’t tell on you if you do, too! Yes, this is a traditional ice cream dessert recipe that’s been reimagined for the grill. And it’s so easy, even a child can do it — given they have mom and dad’s supervision. 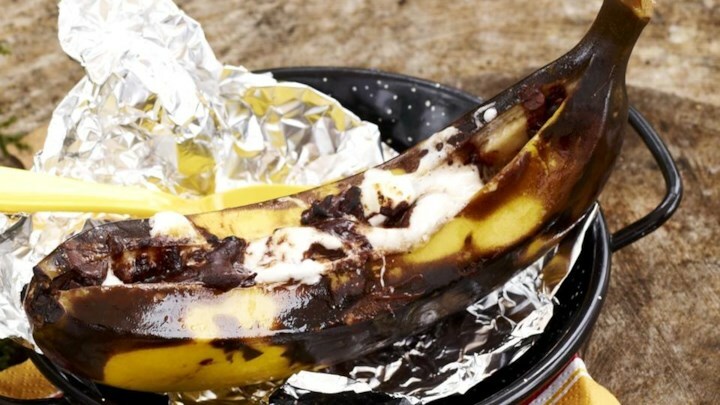 With semisweet chocolate chips, fluffy marshmallows, and everyone’s favorite fruit, these campfire banana splits by AllRecipes user Toni Boncella Blyth make for a delicious end to any day of hiking and exploring. If you want to get really crazy, go ahead and add a scoop of vanilla ice cream; the contrast between the warm, melted chocolate goo and the icy treat is sure to be a show-stopper. 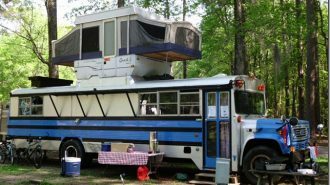 In an RV, you actually do get to bring your kitchen sink along, as well as all the other conveniences of having your own cooking space. 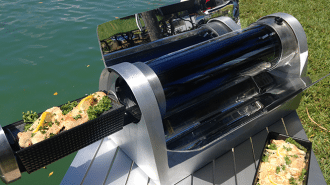 We hope this post has helped you become more familiar with your RV kitchen’s features and accessories, and given you a few ideas about helpful new kitchen gadgets and gear to try out for yourself. And although we’re drooling over all the amazing-looking recipes in this post, the meals, snacks, and desserts above barely even scratch the surface of what it’s possible to whip up in your RV kitchen while you’re camping. And if you’re not quite done drooling over amazing-sounding recipes, don’t worry — we’ve got more where those came from, too. Bon appetit, campers — and you’d better share your own camper concoctions on Instagram so we can all enjoy them!